When it comes to using one product to complete multiple tasks on our conquer-the-world list, we count on a few essential oils. 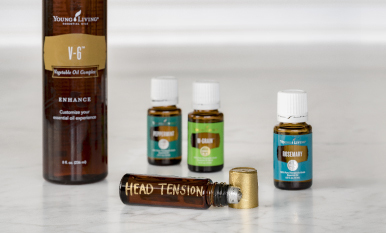 Like a Swiss Army Knife, these oils—Lemon essential oil, Thieves® essential oil blend, Peppermint essential oil, Cedarwood essential oil, Frankincense essential oil, and Lavender essential oil—have an application that’s right for the situation at hand. In your beauty routine. Add to skin care products to reduce the appearance of blemishes or add to conditioner or DIY hair masks to bring out hair’s natural shine. When it comes to essential oil powerhouses, you can’t get much better than Cedarwood. With uses ranging from your beauty routine to your outdoor space, Cedarwood’s versatility makes it a key part of any EO collection. To deter pests. Create an all-natural outdoor spray with Cedarwood and Lemongrass, Rosemary, or Citronella in a glass spray bottle full of distilled water. In your skin care. A drop or two in your moisturizer gets you the skin-cleansing and moisturizing properties of this oil all in one go! Even better, Cedarwood is a great addition to any lotion, not just your face cream! Add it to a thick and yummy body butter or your regular hand lotion for extra moisture. As part of a relaxing routine. Put a few drops on your pillow before bedtime to breathe in its warm, soothing scent as you drift off to sleep. For your scalp. Add a few drops to your shampoo or conditioner every day to support the appearance of healthy hair. Frankincense often appears on lists of must-have essential oils, and for good reason! This ancient oil does it all, including taking care of your skin, creating a grounding environment for your spiritual practices, and so much more. Want to know what centuries of tradition taste like? Use Frankincense Vitality! With a flavor that is complex and unmistakable, Frankincense Vitality is a sweet, woodsy, and slightly citrusy complement to virtually any dish. To ground yourself. Diffuse anytime, especially during meditation or yoga, to invite an elevated spiritual experience. For massage. Soothe sore muscles after activity with a palmful of V-6 and several drops of Frankincense. To highlight natural beauty. A few drops of Frankincense in your moisturizer or night cream may help promote healthy-looking skin. In your green smoothie. A drop or two of Frankincense Vitality brings a lot to your morning smoothie’s flavor. To hydrate. Add a few drops to your glass or metal water bottle. We promise your life will never be the same after you taste this unique and hydrating combo. A popular scent for everything from candles to face cream, Lavender is equal parts fresh, floral, and calm—which is why Lavender essential oil is one of the biggest workhorses in your EO stash. Take the benefits of Lavender even further with Lavender Vitality! Nothing turns a dish from basic to gourmet like a splash of floral flavor. To relax. Make bath salts with a calming scent by putting four drops of Lavender in one cup of Epsom salt. Or use Lavender with a little bit of carrier oil for a soothing massage. For personal care. A drop or two of Lavender will enhance any beauty product. Lotion, shampoo, conditioner, and moisturizer all get an upgrade with this oil’s classic scent. At bedtime. Diffuse next to your bed to create a calm atmosphere perfect for winding down. In savory dishes. Dip a toothpick in Lavender and swirl through marinades, sauces, soups, and more. Balance the flavor with herbs like thyme and rosemary. To complement sweets. Making homemade jam? Infuse it with a few drops of Lavender for a unique flavor. Baking a cake? Add a drop of this sweet floral oil to the batter. 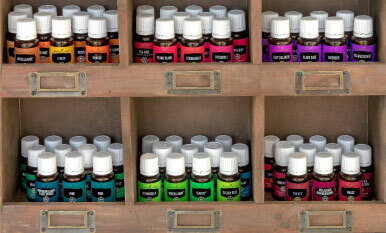 What is your multipurpose essential oil?